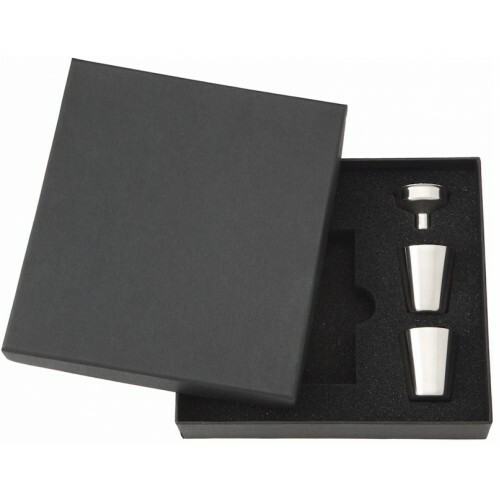 This is a high quality laser welded 8 oz hip flask. 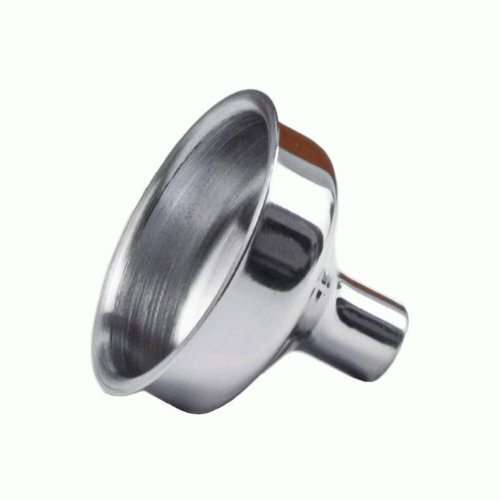 We can engrave just about anything you want using mechanincal engraving machines! 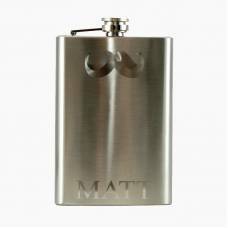 Your personalized engraving is etched into the metal and lasts a lifetime! 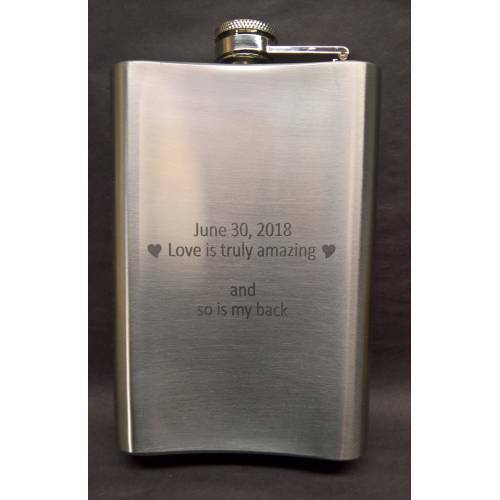 Engraving is free no matter what you would like us personalize on your flask and unlike most engraving companies we will engrave logos and text and have no line limits! 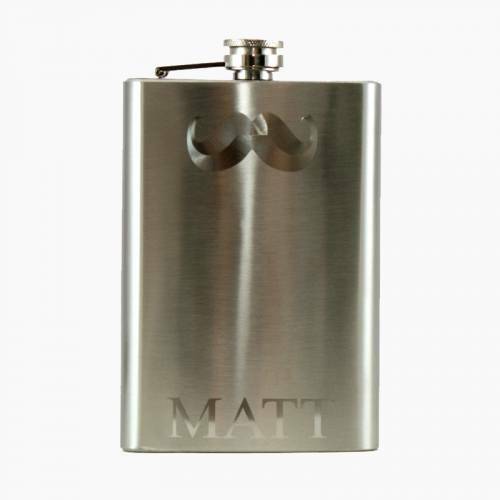 Your Flask can say absolutely anything you want, keep in mind that the more characters there are on one line of text the smaller the font will be.To show the ability and look to mechanical engraving this flask has an image of a mustache engraved at the top and name towards the bottom. 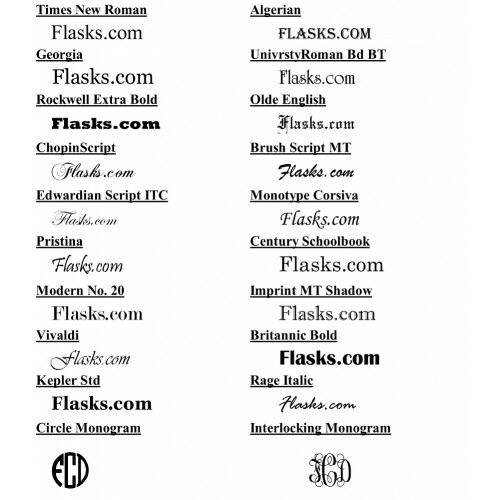 The font can be most True Type Fonts.